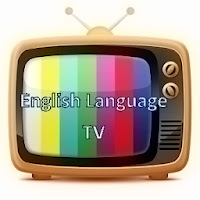 Mohan Lal Grero Newly Sworn Deputy Education Minister said that measures have been taken to launch an English Language Teaching Television in Sri Lanka. This will be the Sri Lanka’s first Education Tv Channel for English Language. Mohan Lal Grero is a educationist and politician and He is the founder of the Lyceum International School. අධ්‍යාපනය පිළිබදව රටට නිවැරදි අවබෝධයක් ලබා දීමටත් ඉංග්‍රීසි භාෂාව ඉගැන්වීමටත් රූපවාහිනී නාලිකාවක් අරඹන බවත් ඒ සදහා තමාට තිබු දිගු කාලීන සිහිනය සබෑ කර ගැනීමට දැන් අවස්ථාව ඇති බවත් අධ්‍යාපන නියෝජ්‍ය අමාත්‍ය මොහාන් ලාල් ග්‍රේරු මහතා පැවසීය. ග්‍රේරු මහතා අධ්‍යාපන නියෝජ්‍ය අමාත්‍ය ධුරයේ දිවුරුම් දීමෙන් අනතුරුව අද (10) නුගේගොඩ සිරි ධම්මාරාම විහාරස්ථානයට ගොස් විහාරාධිපති බෝගම්බර රතනජෝති හිමියන් හමුවී ආශිර්වාද ලබා ගැනීමෙන් අනතුරුව එහි සිටි මාධ්‍යවේදීන් හමුවේ මේ බව කීය.